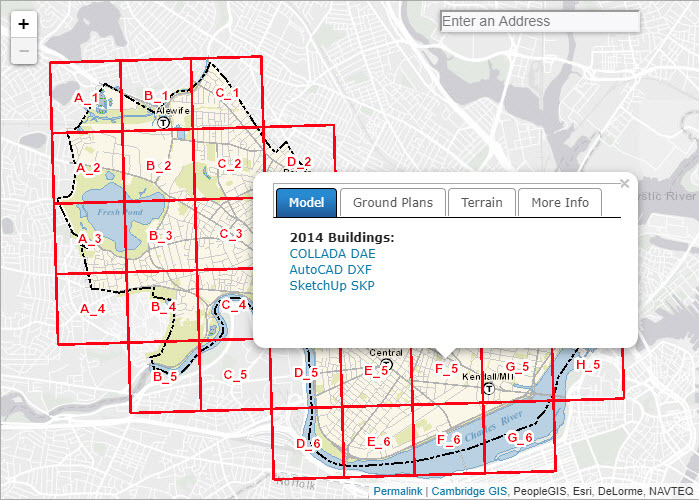 The City of Cambridge has been working with 2D GIS data for more than 20 years. 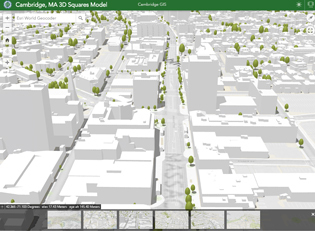 In more recent years, 3D maps have improved significantly as both GIS software and computer hardware have evolved. 3D content is no longer limited to robust desktop computers, but can now be beautifully displayed just about anywhere, on desktops, smartphones, and tablets. This site will be updated with new content as our 3D program grows. Please follow us on Twitter and keep checking for web scenes, data, and information about 3D workflow within the City.